How Can I Enjoy Listening to the Qur'an in Taraweeh When I Don't Understand What Is Being Recited? How Can I Enjoy Listening to the Qur’an in Taraweeh When I Don’t Understand What Is Being Recited? 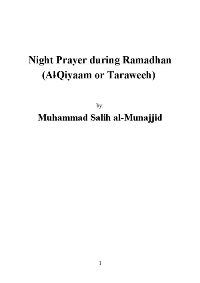 During Ramadan, many of us attend taraweeh (night prayers) at the masjid. Some of us stay until the Imam leads us in witr (a final supplementary prayer). For many of us, this can amount to over two hours of prayer time and for many of us, we understand almost nothing. Sometimes, during the recitation of the Qur’an we hear the people around us crying profusely and we wish we could understand what could be so powerful that those around us are reduced to such tears. We can sometimes make out a specific word, but within a moment, we are back to indistinguishable meanings and simply wishing we knew what was going on. I used to have no idea what was going on in the prayer. I remember standing for lengthy time periods behind the Imam, trying to make my mind focus but finding it constantly drift off; it’s very, very hard to concentrate when the mind has nothing to contextualize. I eventually would settle on trying to think of anything for which I could possibly be grateful. But taraweeh prayers are long; without understanding, my heart would simply get bored and my limbs would always fidget. Thoughts of my day, my concerns, my hopes and my food cravings after a day of fasting would all filter through my conscious while I shifted around. It’s hard to keep still for that long when one is mentally checked out and physically disengaged. However, Allah (exalted is He) guided me to an action which changed my life and revolutionized my prayer and du`aa’ (supplication) experience ever since. It’s simple, but it takes long-term dedication. The results, for me, were powerful and transformational. The common-sense solution that worked miracles in my life by Allah’s blessings: reading a translation. Every single day, for a number of years, I would sit and read five pages of the Qur’an in the English translation. I would do this while both reciting and listening to the Arabic recitation, allowing my ears to become accustomed to the Arabic words associated with the English. 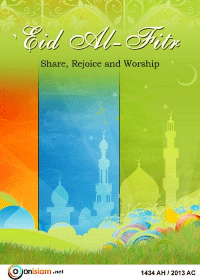 After a few months of this practice, the first Ramadan came. 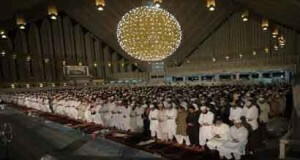 In my hometown masjid, the Imam would lead twenty rakahs (units of prayer). So I would pray eight rakahs and then sit in the back and read the translation of the verses for the next twelve. I continued this throughout Ramadan and was extremely consistent with this practice for the next year. Soon, my awareness of Arabic words increased; I realized that the Qur’an uses many of the same words over and over and I was able to recognize them. I was also becoming more familiar with the surahs (chapters); I had an introductory understanding of what themes were being discussed in certain portions of the Qur’an due to keywords and a general awareness of what the surah entailed. By the second Ramadan, I was praying with purpose. While I still had no idea what every word meant, I had begun to comprehend general meanings of many of the chapters and I was able to grasp the overarching messages of some of the verses. I kept up my practice of praying eight and reading the translation. I even had a few emotional moments. I started looking forward to certain verses that were my favorites. I was finally beginning to understand and I was actually enjoying it; the sweetness of the Qur’an had penetrated my heart and taken hold of my body. 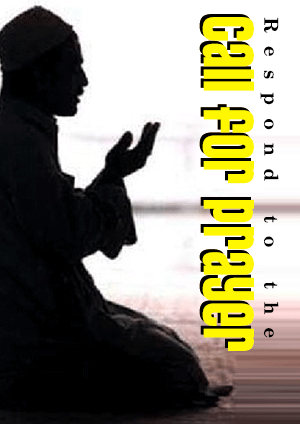 Praying taraweeh in Ramadan became a means of nourishment for my soul and tranquility for my limbs. I also began memorizing the Qur’an and the more I memorized, the more my vocabulary expanded. 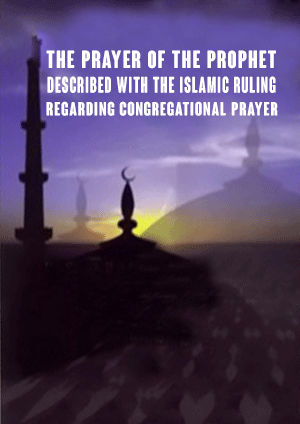 After four years of reading the translation consistently and memorizing the Qur’an, I was enthralled with the idea of praying for hours behind the Imam. I could not wait for Ramadan; all year I waited for the last ten nights specifically, when the Imam would recite the Qur’an for an even longer period of time. My character, my life’s purpose, my Ramadan experience completely changed because I finally grasped a general understanding of the Qur’an. Six years after I began reading the translation consistently and memorizing portions of the Qur’an, I moved to Egypt to learn Arabic. When I started, I took a practice test and was placed in an intermediary level. However, when I met my teacher for the first time, barely able to communicate a few sentences, she was shocked. “Your vocabulary is so expansive,” she told me, “but you clearly are a beginner!” Needless to say, I was re-placed as a beginner. Throughout our lessons, my Arabic teacher would express her surprise at my ability to understand certain words in depth simply because they appeared in the Qur’an, while others I struggled with at great lengths. Eventually, she told me that my Qur’anic preparation was what helped me actually grasp the language and is what had originally placed me at a level far higher than I really was. Focusing on learning Arabic in Egypt, even at a basic level, allowed me to come to appreciate the incredible linguistic miracles of the Qur’an. The grammar, the syntax, the rhetoric, use of specific words—an appreciation for the deeper linguistic mechanisms did not happen simply because I had read the translation for an extended period of time. However, by Allah’s blessings, my self-training had laid the groundwork and with it, I was able to appreciate the Qur`an, prayer, and du`aa’ at levels far beyond what I had even imagined before making the commitment to seek understanding. The lesson in this personal experience is that taking time to learn Arabic as a language, studying the grammar, syntax and rhetoric are very important, but not absolutely necessary for a meaningful relationship with understanding the messages of the Qur’an. Studying Arabic can help create a more cumulative appreciation of the mind-blowing power of the Qur’an, but none of us needs to grasp onto a future hope or past failed attempts of being fluent in Arabic in order to emotionally and intellectually become attached to the Qur’an. 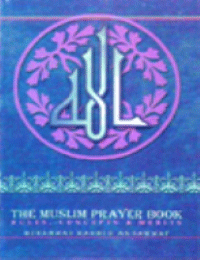 Such a relationship can begin simply by dedicating oneself to understanding the general translation of the words of the Qur’an in our native languages, and that can take place at any place and time. It is one that requires commitment and time, but if a person is serious and dedicated, God willing, they will eventually see the benefits of their toil and they will begin to understand and fulfill their purpose with greater perfection and zeal. Here is a suggested plan of action that should be fit to a person’s individual situation. This is what worked for me, and it will differ from one individual to another. If a person begins this Ramadan, taking advantage of the blessings of this month, with their own plan of action, insha’ Allah (God willing) by next Ramadan, they will notice a marked difference in their taraweeh and Qur’anic experience. This is the month to make a commitment to act; this is the month of success. Read the Qur’an in translation every single day. Choose a chunk to read in translation daily (i.e. : five pages) and couple it with reading it in Arabic and/or listening to it in Arabic. 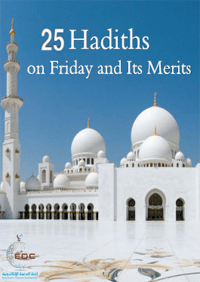 During Ramadan specifically, choose to pray a certain number of rak`ahs for taraweeh, but also make it a point to sit down and follow the recitation with the English translation. What is of more benefit? 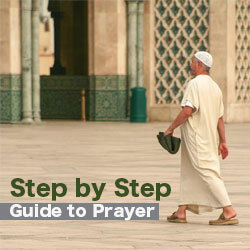 Praying for hours without understanding and hoping to get rewards (insha’ Allah) or sitting, reading and understanding, finding oneself captivated by the incredulous power of the Qur’an and actually feeling oneself coming closer to Allah and changing one’s life to maintain that relationship with Him? Long term, in this life and the next, insha’ Allah there are rewards for both. But for the one who strives, there is much more reward for a person who actually lives the Qur’an instead of standing for a period of time, completely tuned out because of a lack of understanding. For Ramadan especially, try to read the translation of the surah that will be covered in that night’s prayer. That way, even if one is not able to understand what is recited specifically, one will know the general meaning of the verses and one’s mind can focus on those general lessons and messages. Hone in on key words and use them to focus on prayer. For example, when familiar with the different words which indicate “Paradise,” imagine Paradise. Imagine standing in Paradise, with its breathtaking beauty…and suddenly finding someone covering your vision with their hands! When you turn around, imagine who you would want to see most in that moment. Your mom? Your dad? Your grandparent? Your sibling? Your spouse? Your child? Your best friend? Imagine. You haven’t seen this person in possibly decades, centuries—you’ve gone through life without them or death came to you first and you had been in the grave for some time. Then you made it through the Day of Judgment. You finally have entered Paradise—you passed the test! And suddenly, you are with the person who you loved and missed the most. How would you feel in that moment? Allow your heart to FEEL the verses talking about Paradise as they apply to you. Use keywords to help your mind and heart interact with the Qur’an’s message to you. Listen to the Qur’an and its translation constantly; while stuck in frustrating traffic, while cooking and cleaning, while walking from one end of campus to another; allow the recitation of the Qur’an to penetrate the soul and the translation of the Qur’an to crack the hardened heart. The more one listens to the Arabic recitation and translation, the more familiar one will become with understanding the Qur’an. 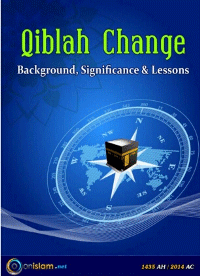 Throughout the year, work on tajweed (correct recitation of the Qur`an in Arabic) and memorization. Over time, this will significantly aid in a special working relationship with the Qur’an, God willing. Many of us complain about our inability to understand what is being recited of the Qur’an and to maintain focus or enjoyment in prayer due to this reason. I know the feelings of boredom, frustration and helplessness. I know what it means to blame our lack of “experiencing” the “Ramadan feeling” or our lack of understanding of what is being recited. However, we have the capability to revolutionize this experience, with Allah’s Help. We can become of those who truly understand, whose hearts are captivated and whose limbs are calmly in awe, whose minds are blown away at what we are listening to of the Qur’an. The methods are there and the tools are available. The real question is: Are we willing to make the time and dedicate the effort? Many of us have tried different methods to wake our hearts up in Ramadan and help them focus on the prayer when we do not understand what is being said. What tips do you have which have worked in your life? Please share them so we all benefit insha’ Allah.